At last, a day on the bike. Anne and I got out for a nice short outing from Dalgarven Mill to Eglinton Park. When we got there we discovered the place was overrun by dogs and doggy people running themselves silly on a dog agility competition. We stood about for a bit watching the dogs and owners generally making a mess of it. Must be frustrating, all that training for a two minute competition where the dog forgets everything and runs around in circles randomly tackling obstacles while the owner shouts themself hoarse. Its great to watch! I suppose its more of a social event for most of them, plenty of time to spend in the beer tent between each bout of doggy fun and games. PM got out on the MTB over Scary Glentane along to Fairlie, the ground's a bit on the soft side now so the uphill rough stuff is getting to be hard(er) work. The lovely little stream crossing at Fairlie Glen had an unusual hazard I didn't notice until half way across, lots of beer cans cooling in the water! I think I dodged them all but there was quite a collection so one or two may have suffered dilution. Hope the 4 young lads camping there clean up behind themselves. I'm sure it wont be long before I'm up there again and find out (must remember to take a bag or two to collect the fall out). Yesterday I was clearing some weed out of my little pond in the back door and thought I saw a fish but looking closer it turned out to be a newt larva, then another and another. I was so chuffed to see some more wildlife in our little pond (its more like a deep puddle really). I managed a few bits of video and mixed it into some other wildlife shots from around the garden and a bit of local stuff. Its hardly exciting but then not everything is interesting AND exciting as well...hmmm?...some things aren't interesting OR exciting... I enjoyed making it though and I'm sure I'll enjoy coming back to view it again sometime soon view it here. PS I found on the web that newts aren't cute little harmless beasties, a chap died from swallowing one as a dare their skin is toxic and covered in nasty bacteria....yuck!...swallow a newt?...I don't think I'll go there! Haven't had my bum in the saddle since Sunday, I blame the weather and the fact that Sunday was a bit of an epic (46km 1800m). I'm always happy to give cycling a few days rest after a big day out so Anne and I have just been pottering about on some local walks...Fairlie to Largs, Lanfine and what I call the viewpoint on Fairlie Moor. I did a panoramic photo just recently, I'll see if I can find and upload it, nope don't know what I did with it but I found this instead. 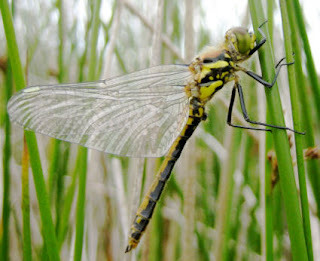 Took it Monday when out dragonfly hunting, some beak its got. Today I went on trail patrol (because the cloud was down on hills and It was oh so very dull). First I went up onto Fairlie moor to check if the Block-a-trail person had been active but all was OK my little ditch bridge for the MTB and the stone bottom at the burn were still in place. PM I patrolled over my secret trails and to my horror the farmers beast has come through the fence and 'destroyed' the trail....I could have cried...what a mess! Where once there had been a sweet little singletrack there was an unridable muddy mess...sob..sob! I got out the trail tools, repaired the fence and set to work, 3hours later it was almost a trail again and I was knackered. Its still got a few soft spots but its just about ridable again, another similar session should see it back to a trail. I wonder sometimes if its worth the effort what with block-a-trail prats and beasts of destruction, trail maintenance can be so frustrating and damn hard work! While starting this blog entry I discovered that all my blog photos are in an album in picasa photo site so I thought it would be nice to link to the album so here it is. I think I'll put it onto my sidebar as a nice quick blog summary, lots of cycing memories came flashing back as I pulled down through it. 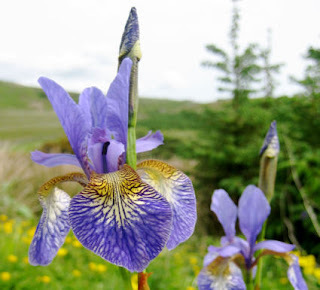 A few days back I was looking at the Cowal Walking and Art Fetival web site, in it is a description of a MTB route around Strone point and back over the hill on a quad track. I sussed out the hill bit on satallite images and yesterday I went over there to give it a go thinking I'd maybe tag on some more trail exploring on the way back. 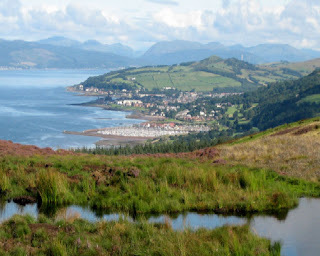 Some great views along the way, from high on Strone Point is a view up the Clyde toward Greenock and down the Clyde toward Arran. The muddy quad track on the west side of the hill has a nice outlook over Strath Eachaig and Holy Loch, it also has axle deep mud pits of that horrible rusty brown peaty mud that stains your toes a nasty yellow colour....yuck...yuck...yuck! I discovered a few good trails but the trouble with them is the boring forestry roads getting there, still it opens up more options for making up routes. Took some video view it here. I'm always intrigued by the way women think and the results of that thought process. Anne regularly gets (eventually) up in the morning and the first thing she does is tidy all the dishwasher stuff into where it should go. The tidy gene is at work here. I on the other hand I have been sitting passing (wasting) time at the computer for about an hour (the idle man gene is at work here). The thing is I've been up for an hour so maybe that balances the equation. Post breakfast (Anne's) we agreed on Fairlie moor for a walk, Anne loves walking and I love planning them as well as doing them, so in the equation I may be slightly ahead here. View slideshow of our lovely walk here. PM after both sitting out in the sun during lunch I was thinking about having a little loop on the bike but hadn't said a word. Anne had other plans with a garden theme so somehow my bike run got converted to laying some crazy paving (Anne's idea) and hard graft of the digging out bushes type of thing (I think this may have been my suggestion but not necessarily my idea). So in the equation I judge myself behind. Tomorrow though I think the equation may rebalanced, I've got plans but they depend on the weather, Anne however has commitments and being a woman they take priority so with any luck I'll get a bit of gallivanting done and equilibrium will be restored. Funny old thing this gender business.... maybe yin and yang complimentary qualities describes it.... or perhaps its just the give and take of married life. When it stopped throwing it down about 1.30 today I thought conditions looked good for a bit of dragonfly spotting up on the moor. 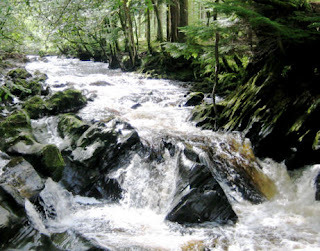 I hadn't reckoned on being unable to cross the burn though and had to take a detour downstream to the bridge. That was OK because on route I visited 'Big Biglees Falls'...wow it sure was going some. 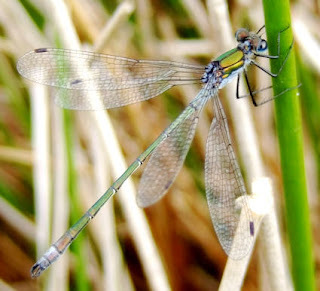 In the end I didn't get any dragonfly photos but did get a few nice ones of Damselflys. About a year ago I put a little wooden bridge across a gap on the way over from Biglees Quarry so I can get over without having to lift the mountain bike, today I found some block-a-trail person had pulled it down also a little stone base I put down in a stream has been removed. I put them back but I doubt they'll last, I'm surprised the bridge has lasted a year. 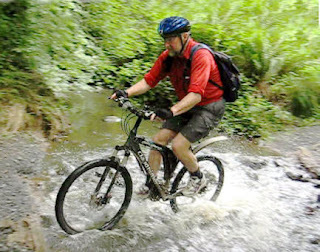 Some country folk don't like these towny mountain bikers 'improving' their bit of ground, I've known towny ramblers doing the same block-a-trail kind of thing as well. The kind of people who rudely say nothing and give a black look to a polite hello when I'm passing on the bike. Ive been on Anne's home made wine this evening so I hope this blog entry makes some kind of sense (not that it matters much). 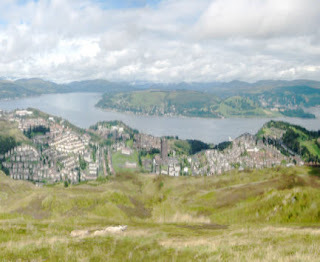 Dunoon is only a 30minute drive and a 20minute ferry away from West Kilbride but its enough to make it a 'special' trip for mountain biking, not quite my back yard but its in the 'Highlands' so has a bit of an attraction for me. I've been over quite a number of times investigating trails the best of which, in my opinion, remains the Loch Eck Loop. Last week end I went over to check out some trails above Ardyne Point having been told that there was a link not on the map between the forest tracks, sure enough there is a very nice linking singletrack between the southern forest tracks. I now feel I'm almost ready to publish an Ardyne point route guide on my web site but not quite yet there are one or two little bits of track I haven't gone down although I can't see there being a problem. I have generated some GPX files including one of all routes combined, it can be previewed here. A video of the Ardyne singletrack can be viewed from yesterdays blog entry below. PS There are a couple of real epics over there for those brave (foolish) people like me who don't mind carrying their bikes to get an outstanding return. They are Carrick Castle and this monster epic. If you can enjoy these you can enjoy anything! Two videos of these 'silly' routes can be viewed here and here respectively. Gosh! I'm exhausted just doing the links on this blog. 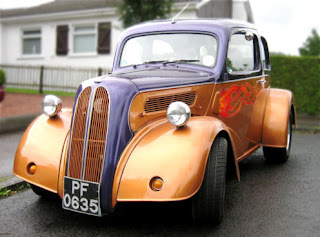 This little beauty was outside my neighbours Saturday midday, apparantly there was a custom car rally at Eglinton today, I missed it cause I was off on another short trip to the Highlands (Dunoon) investigating trails. 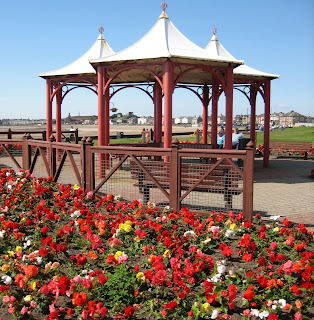 Yesterday was also the West Kilbride flower show, a lovely (cut throat) community event. I'm really only interested because Anne enters her wine into the show. The wine section isn't a big thing, there were only 5 sets of entries but one nice thing that happens is a spot of prize wine tasting after the show closes. The wine club (and friends) all leave with bit of a warm glow. Annes lovely dry apple won the wine trophy this year again, last year it was her last minute blend of apple and elderflower that won, much to both our surprise. All last years home made wine is now available for drinking, so its days are numbered. A bit of video here. Today as I said, I went over the (Clyde) water to do a bit of exploring at Ardyne point mainly to check out the link track between the forest roads. Sure enough there is a very nice link trail between the forest tracks allowing a loop in the forest without coming down to the road. Its best done east to west but its also nice to come down to the road to get the best of the downhill. I haven't worked out how best to incorporate it into a route but I'm sure something will come to me soon. 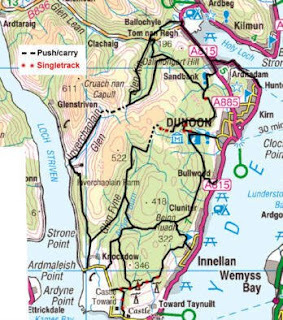 Best Dunoon route is still the Loch Eck circuit. I've been 'working' on Anquet maps generating GPX files for my South West Scotland through routes, epics, or multiday outings whatever name suits. The best of them are in the south, east and north, mid Ayrshire is best suited to some very nice road cycling (I've generated GPX files for road routes as well). I've cycled virtually all of the SW routes at one time or other over the past 6 years but things change so I'll be happy to get any updates from anyone who knows better. 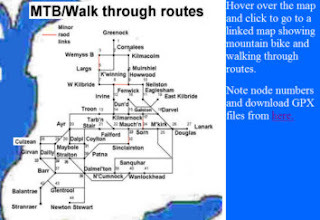 Over the past year I've looked at lots of verified and unverified route connections throughout Scotland using Anquet and put them onto a web site with a view to getting out there sometime and doing a few. I've done a few away from home things like 3 days around the Cairngorms earlier this year and quite fancy doing a few more, it all depends on the weather though I don't like the rain and certainly won't be planning anything that get me caught in the wet stuff....wimp?...Yes I plead guilty. Got out on the MTB for a couple of hours before tea down to the hole in the ground (oil rig yard) where my son Stephen was fishing. There was a huge shoal of large fish below the pier but he only managed to land a few mackerel, nice enough but one of those big boys would have been quite something. 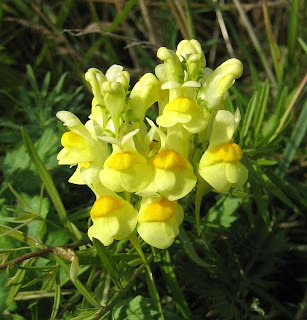 Common toadflax is not really very common around here but I know a spot where it flowers. Its out now but due to the wet I haven't photographed it this year. Anne and I were heading that way today but a thundery shower came over, we headed home after sheltering for a bit and didn't get along the beach as far as Portencross. Its clear now but I've been drinking Anne's lovely sweet bramble wine and tea is in the oven so anything outdoors will have to wait for an hour or two. We got back from our wet walk about 2.30pm and I settled down to see if I could integrate some more GPX files into my web site. Generating GPX is easy using my Anquet mapping software, its integrating it that poses the challenge. I think I've figured out a descent way of doing it so the afternoon has passed quite easily, just GPXing all the SW Scotland through routes I've cycled and mapped with a view to publishing it very soon. Not exactly exciting but it passes a wet afternoon. 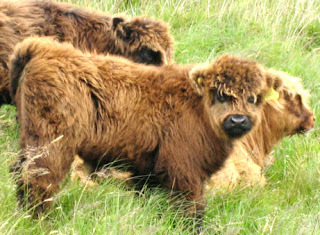 Better not go at it too hard I suspect there will be no shortage of wet afternoons for the next wee while,it is Scottish summer time after all. Looking for some flower photos in my flickr account I came up with this set from a Costa Blanca walking holiday, makes me want to go off there again ASAP. PS Rain stopped about 5.30 so in spite of 1/2 a bottle of wine and a full tummy I got out on the MTB for a spin, Scary Glentane, Goldenberry and the beach, lovely wet and muddy. The water in Glen Burn at the bottom of Glentane was rather high I could feel the pressure on the side of the bike as I pedalled across. Unfortunately it sounds like I'll need to regrease the wheel bearings, they've got that crackly sound after their soaking. When I get up in the morning I often have a bit of a browse on the computer between breakfast and Anne surfacing, after that I check the met office weather forecast and if its anywhere near nice I take a walk around the house checking the air and the sky to make a decision on what to get up to, other plans excepted. Today was semi clear humid and warm, to me that meant too sticky for walking but a good day for a cycle. Anne and I put the bikes on the back of the car and went 1/2 an hour down the road to Eglinton, one of my favourite cycle start points as it has lots of options. Today I opted for a standard run of mine over to Stewarton's coffee pot cafe for lunch and a decision dependant on the weather outlook (the sky). The sky followed the Met office prediction (bit iffy PM) so after a light lunch in Stewarton we headed back via Walker Cyles in Kilmaurs. I needed some inner tubes for the mountain bike and Anne's saddle is getting a bit tatty and she wanted a replacement. Neil Walker was in the shop, he's a bit of a hard cyclist (top ten finish in the Fort Bill 24hr thingy), and says the Cycling club are off up Cairn Table this evening. As I write this they will be well on route to the top and the downhill reward. Apparently someone has offered six beers to the person who makes it up without dabbing, I think in view of the sticky conditions its unlikely the prize will be claimed but it should be a good challenging outing. Saturday past Anne and I went round to some friends for a wine tasting evening in order to make the final selections for the wine entries into the flower show next week. Needless to say it was a merry evening. Colin the leading light in the wine making group mentioned that the Fairlie Montgomery Estate are quite likely to be putting in a 120kw mini hydro scheme now that energy prices are on the way up. 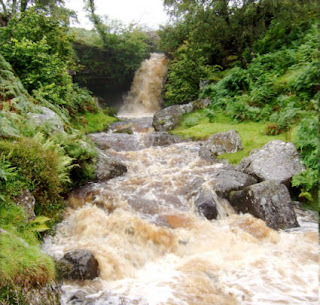 They will be 'stealing' the water from Glenburn Biglees falls. Oh what a shame if the waterfall turns from a roar to a trickle for a few pennies worth of energy, sorry Colin I hope it never happens! MTB video with the waterfall here, exactly one year on from when I made it, ain't that nice! 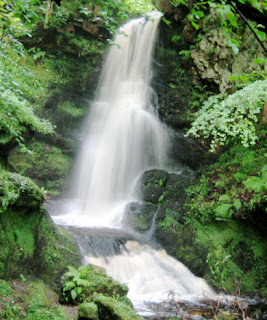 Today started a bit drizzly so I decided to get out with the brolly and wellies up to Fairlie falls (picture above) and into Kelburn, as I meandered along it got quite bright and I was tempted further and further up through Kelburn onto the moor. By the time I got back to the car I'd been walking for three hours. Post lunch I got out on the MTB for a bit of easy stuff but again it was so nice I ended up doing quite a bit more than I expected and was out for another three (lovely) hours over my secret trails. PS Now that the wine has been brewed and tasted its on release so I'm enjoying a lovely dry bramble as I do this blog entry.....its absolutely magnificent stuff...and strong, just as well I'm done as good sense is eluding me. Anne and I had a walk through Mugdock and out along a bit of the West Highland Way today. It was nice and bright to start but it didn't last. Just as well we had out brollies with us. There was some sort of historic re-enactment going on near the castle, 20 or so folk dressed up in medieval costume. From the little I heard it sounded as if they were loosely following a script. 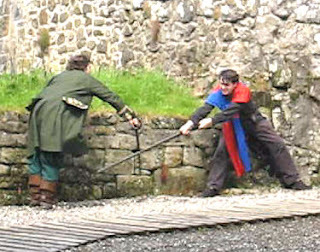 By the time we walked round to the castle there was a bit of sword play going on. Nice to see something a little out of the ordinary. The rest of the walk held no more surprises unless I count the heavy rain that is but it was very nice anyway.....I'm easily amused. View a SVB video here....nope its still transcoding so see a MTB one from three weeks ago here until its done. Can't say it was worth waiting for but finally the video is ready to view. It was ideal cycling weather today so Anne and I went over to Kilmarnock Dean Park to do a loop, mainly on minor roads but with a few bits of off road to keep me amused. The route description can be viewed here....oops don't seem to have a description for that one, a little job for tomorrow while its raining. PS have created a description, view it here. PPS The route above can be added to this route to get just about all thats its possible to get out of mountain biking in the Irvine valley. On the way back Anne was kind enough to take a little detour and drop me off up Fairlie moor so that I could get a little adrenalne fix down the Kaim Hill trail, great as always. Returned over Goldenberry and the beach...absolutely lovely...what a lucky chap I am living here. Monday Anne and I had a very pleasant cycle from Castle Semple up and around Barcraigs Reservior. There is a big climb from Howwood up to the moor but once up there are a few very quiet lanes with great views up to Ben Lomond. We meadered about slightly lost finally finding our way back to Barcraig where we decided it was time for the downhill reward and coffee with cake at the RSPB centre. It was so nice I decided to cycle back home to burn off some more callories, didn't do the Fairlie moor climb though, that was a callorie too far. Yesterday we had arranged to get out on the bikes with my cycling chum Tom and his wife Liz, unfortunately Tom's car's towbar got damaged in a minor bump when his son spun the car into a crash barrier. Luckily that was the only damage but it meant a trip to Ayr to get it assessed so no bike outing for Tom. Anne and I deided instead to have a walk up onto the moor, just meandering really, enjoying the pleasant weather and the views. We passed a sizeable pond and noticed lots of Dragonflies and Damselflies, I resolved to return later with my camera and spotting scope to try and get a few photos. When I did get back up the wind had risen and the Dragons were hiding I spent an hour beside the pond witout seeing much at all but finally found one lurking in the grass and managed to get a few snaps by getting very low and very slow. The picture above is the best of the bunch, not much for a 2 hour effort. 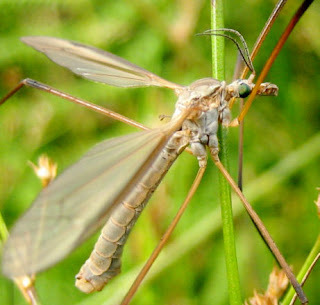 View a slideshow of bugs and beasts from the button below. Sunday (yesterday) I'd offered to take my son up to the airport, he's off on a training course down south but I put the MTB on the back of the car to try and get an hour or two if the forcasted showers passed over. I decided the cut above Greenock would be a good option sort of on the way and if it was wet I'd just head back down the coast home. I was lucky though by the time I got there the showers were passed and the sun was shining. Coffee and cake time a lunch substitute before setting off across the little hill toward Greenock and the cut. I left the main track at the top of the hill in order to get a bit of singletrack beyond the communications masts at the reserviors on the NE side of the hill, its a nice little trail with a great view. After doing the little bit of technical stuff I cut back east to the Greenock cut lovely views on an easy trail, really worth doing and if you fancy a bit more add on the Kelly cut, I intended to but the sky looked ominous so I opted for home and some hedge cutting, unfortunatetly rain stopped play on that as well. View the short boring video here.